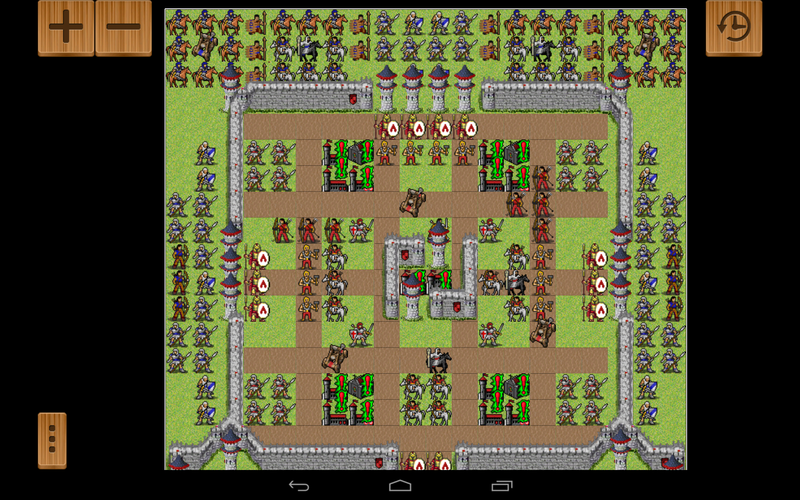 Age of Strategy is a top-down tactical turn-based strategy game with retro graphics. There are many campaigns to choose from which range from pure fantasy to the historical battle of Troy. Complete with a Trojan Horse! Retro-style graphics is either an art-form or a resource management tool. In the case of Age of Strategy, it seems to be the latter. Instead of pouring time and money into art design, the developers are able to focus on creating a better player experience. The music, however, is simply amazing. The title screen is reminiscent of a bard playing a lute, and the campaign maps have uplifting trumpets that really add to the immersion despite the retro graphics. There are plenty troops. Not only are there large scale battles, but there is a huge roster to choose from. 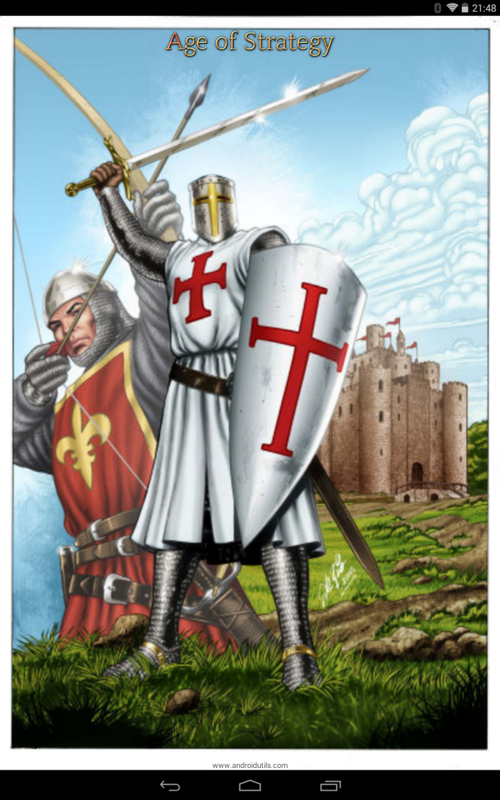 From sword and shield infantry to knights on horseback. From archers to catapults. From healers to clerics. All the beloved classes are here with more to spare. The controls are so simple that they are barely worth mentioning. Tap to select a unit. Tap to attack or move. Dead simple. The AI isn’t the smartest, and many of the campaigns feel pretty easy to win. Regardless, it does feel intimidating to sit inside a small castle with enemy troops besieging it from 3 sides. However, if it is a challenge you’re looking for, they have both local and online multiplayer support! Age of Strategy is a blast. 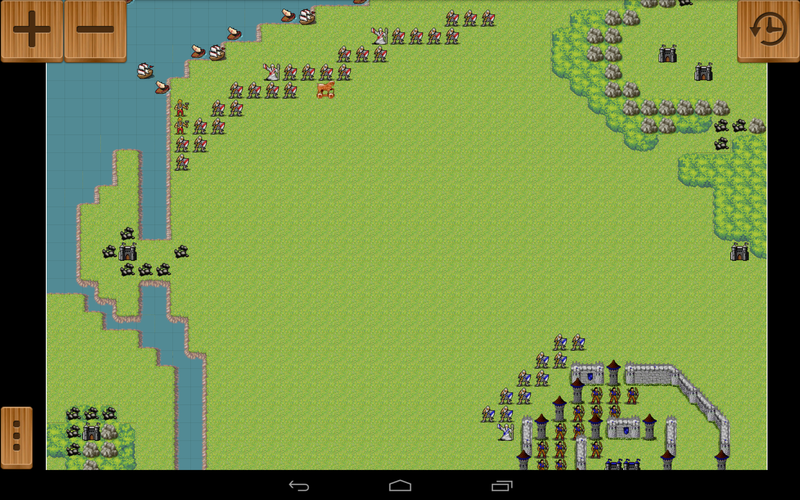 It’s refreshing to play an engaging turn-based strategy on a touch device. With old school graphics and amazing music, it’s easy to play and wonderful to listen to. Interested in Age of Strategy? You can find it here at the play store. Free to play, no ads, donation supported and the developers sound pretty cool.